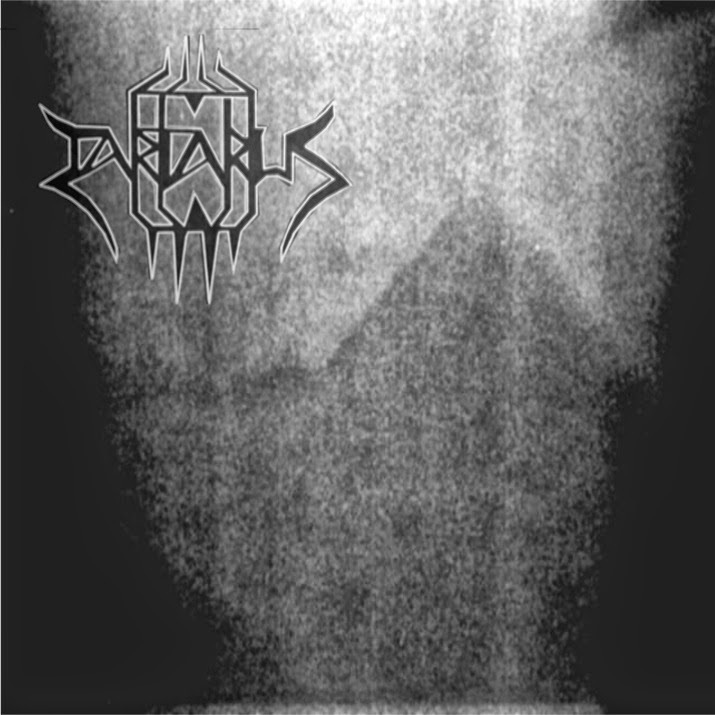 In the matter of extreme metal music today the underground is full of newcomers who bring enthusiasm and fresh ideas .Today most of the bands experiment on their soundscapes to create a music that can be different from others and bring to them a unique identity and indeed Tartarus proved it. Pittsburgh, Pennsylvania based black/death quartet Tartarus revealed their debut sonic assailment on 1st March,2015 consist with 5 tracks. Actually their band name “Tartarus” is collected from ancient Greek mythology. In Greek mythology Tartarus is the deep abyss that is used as a dungeon of torment and suffering for the wicked and as the prison for the Titans. Tartarus is considered as a deity and the place where souls were judged after death and where the wicked received divine punishment. Basically they was formed in 2013 consist with a bunch of young, talented, well skilled musician. This debut EP sounds so authentic, mature, epic it is hard to believe that it is only their debut release . At first when I was spinning this whole EP I was literally astounded and I’m floored with this band. This whole album easily hooked me up with it’s vocals blackened rasps ,screaming voice and their deep, critical acclaimed ,unrelenting, disparate, hate-filled, merciless, enigmatic blackened death metal musical style with crushing, chugging riffs works, well crafted, distinct content and builds layers of blasphemous musical style through high reverb and fast, medium and often slow tempo . They have endeavored an brilliant effort on this album and nailed it. This new EP contains a strong dose of black/death metal ,with unsettling piece of sinister euphoria and unearthly ambiance. Their whole composition and musical style reflects the grand diversity of sound brought together on this EP. Their latest efforts whole ambiance and compositions are brilliant . Their distinct style enthralled me totally . Despite the often fast ,furious, cacophonous, heavy and barbarous form of death metal assaults with a lots of segments of black metal laced with intricate riffs work ,solos enriched this album that is very powerful, heavy and brilliant all at the same time along with a good balance of black metal, melody and brutality with strangulated ,intricate, dark –eerie riffs work and those effective rasps simultaneously .This album just blew me away with their ethereal abyss, heavy, the multi-layered black/death metal musical style . I applaud this EP . Well, This EP is filled with a plenty of cadence, apocalyptic, ominous, hellish, devilish , chaotic ,powerful ,dark – eerie riffs work . As well bass line up is whopping, Intense, strong ,rumbling . Drumming, percussion line up is bleak, frantic, solid and powerful . In each track dismal, delicious, macabre, spiral riffs ,bass lineups correlated in well manner . Every inch of this is EP crammed with jaw dropping intense moments, breathtaking riffs, bass work .Tempo changes are excellent, complicated and fast . This EP indulge strong songwriting and brilliant musicianship . vocals howling scream, bestial snarls, blackened rasps, high pitch screams ,ruthless, vicious voice emerged on this EP in a well manner and intertwined perfectly with their obtuse, bizarrely arrogant, mid-paced, evil melodic, dismal ,utterly merciless, cacophonous uncanny blackened death metal sound and embedded perfectly . Overall you will get sinister, gloomy, desolate, grotesque ambient from this whole album seamlessly . Each song have an energy, fluency and dominating power. Stand out tracks are all of them. I personally cherish XCIII , Mors and Blood and Honor and Nigredo. Artwork is atrocious and portrayed gloomy vibe. This new EP is Impeccable , prestigious , rich, intense ,significant . In this whole EP you never found repetitive sound. From now I will wait for their debut Full length album . Hope their debut Full length album would be excellent as this EP or way more superior .Definitely expect from them a full length album very soon .Their potential on this debut EP is appreciable . This is strongly recommend to add it in your collection. I am pleased to say that Tartarus’s latest addition strides infinitely higher due to it’s strong content, complex,ancient history,mythology based theme, musical style. I am pretty damn sure Tartarus can continue their stride in the future.